Why Does It Have 13 Stripes? Why is the American Flag Patch Worn Backward on Military Uniforms? Why Is It Flown at Half-Mast? How Do I Retire an Old Flag? Why is the Flag Folded 13 Times? 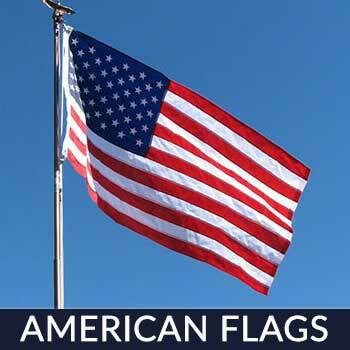 The American flag is synonymous with freedom and the pursuit of happiness. You’ll often see it flying around government buildings, stadiums, businesses and, of course, homes. 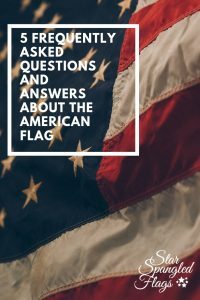 But while most people are familiar with the American flag’s overall design, you may have some unanswered questions. 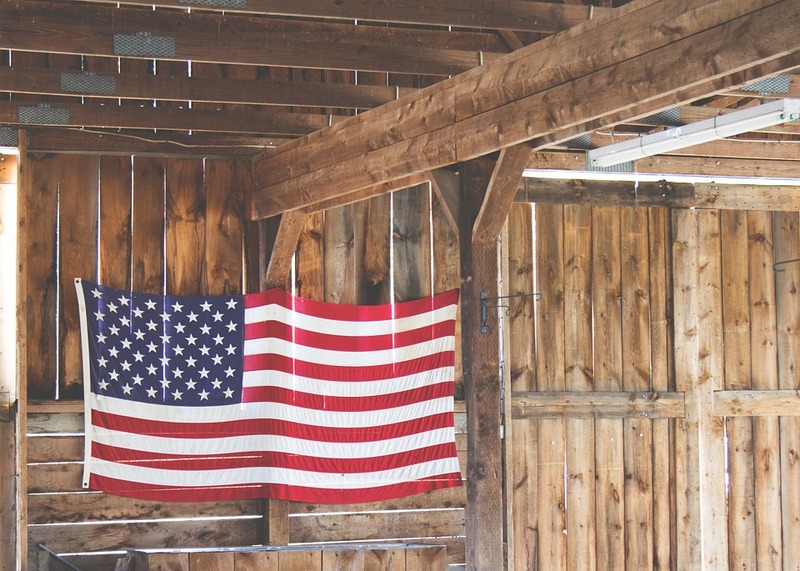 In this post, we’re going to answer five common questions about the American flag. #1) Why Does It Have 13 Stripes? 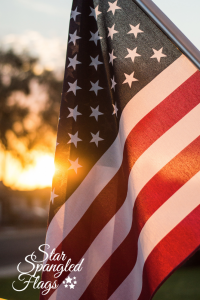 The American flag has 13 stripes to represent the original 13 British colonies that declared their independence from the ruling party of Great Britain. In 1776, these colonies officially announced that they would no longer be taxed or ruled by Great Britain, thereby paving the way for the American revolution. #2) Why is the American Flag Patch Worn Backward on Military Uniforms? If you’ve ever seen a service member or veteran wearing a military uniform, you may have noticed that it features the American flag patch backward. 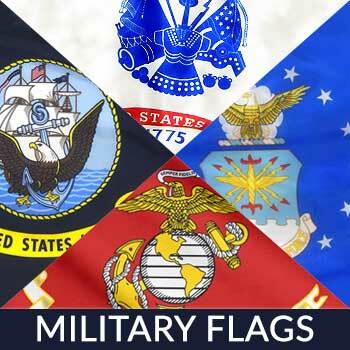 Army Regulation 670-1 specifically says that in military uniforms the American flag should be displayed so that the stars are at the highest point of the uniform. Because of the way in which the uniforms are worn, the highest point for the stars means the American flag is backward. If you’ve ever looked at the American flag patches displayed on U.S. military uniforms, you may have noticed that they are worn backwards. In other words, the stars aren’t displayed in the upper-left corner. Instead, they are displayed in the upper-right corner, with the American flag essentially being flipped on the servicemember’s uniform. Some people automatically assume that this is a mistake, but there’s actually a good reason servicemembers wear the American flag backwards on their uniform. According to various reports, the American flag is worn backwards on U.S. military uniforms because that’s the way it looks when soldiers advance forward while carrying a flag. During the Civil War, at least one soldier would be responsible for carrying the flag when advancing into enemy territory. As this horseback soldier proceeded forward, the flag would drape back in the wind, making it look backwards. Over time – specifically after the Civil War had ended – the American flag was often displayed backwards on military uniforms and other places to mimic its natural appearance when forwarding into enemy territory. With the American flag flipped horizontally, it creates the appearance that the soldier is moving forward, as the flag drapes behind him or her in the wind. 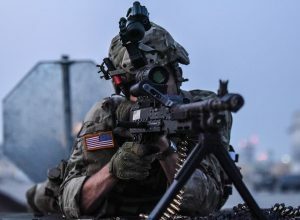 Although it didn’t happen overnight, the U.S. military eventually adopted new regulation requiring soldiers to wear the American flag patch backwards on their uniform. In 2003, the Army introduced Regulation 670-1. Titled “Wear and Appearance of Army Uniforms and Insignia,” it contained a section stating that the stars and stripes of a soldier’s American flag patch must face forward rather than backwards. Regulation 670-1 also stated that the American flag patch should be placed a half-inch under the soldier’s right-hand shoulder seam. As a result, you won’t find the American flag displayed on the left side of a soldier’s uniform. Rather, it’s always displayed on the right side. To recap, a backwards American flag patch on U.S. military uniforms isn’t a design flaw. Although it seems like a mistake, it’s purposefully worn in this manner to represent forwarding assaults. Back in the Civil War, soldiers would carry the flag while advancing into enemy territory. 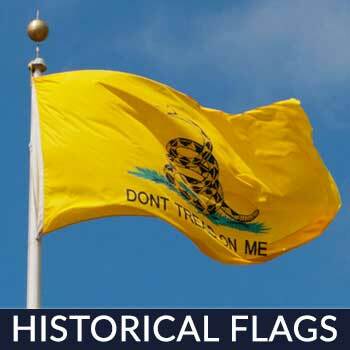 As they moved forward, the American flag would naturally drape backwards in the wind, thus prompting military officials to adopt a similar style for American flag patches displayed on soldiers’ uniforms. #3) Why Is It Flown at Half-Mast? There are times when a business, person or government institution will lower its American flag to half-mast. 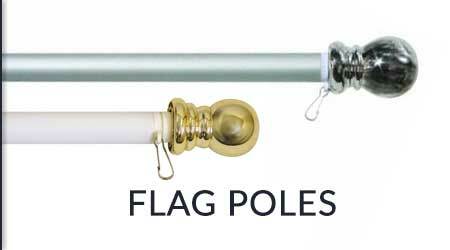 Also known as half-staff, this involves lowering the flag to about halfway down the pole. This tradition began during the 17th century and is intended to observe or respect an occasion, such as the morning of a recognized person’s death. On September 11th of each year, for example, the American flag is flown at half-mast to recognize the September 11 terrorist attacks. 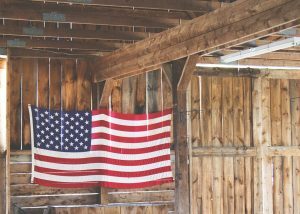 #4) How Do I Retire an Old Flag? If your American flag has become damaged and degraded to the point where you can no longer display it, you should consider retiring it. Simply tossing it in the trash is poor etiquette and, thus, should be avoided. Instead, consider one of the retirement methods listed here. You can often donate or recycle your flag, for instance. #5) Why Is It Folded 13 Times? 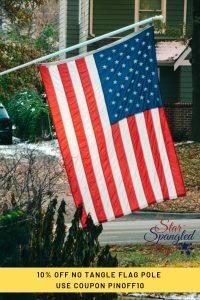 It’s a common assumption that the American flag is folded 13 times to represent the original 13 British colonies that declared their independence – the same reason the flag has 13 stripes. The truth, however, is that each fold has its own meaning. The first fold represents life. The second fold represents belief in eternal life. 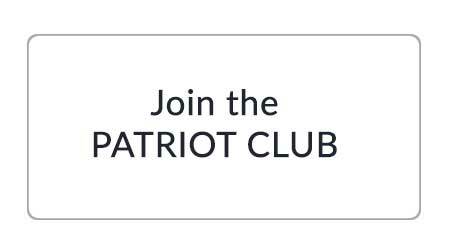 The third fold represents veterans and so forth. 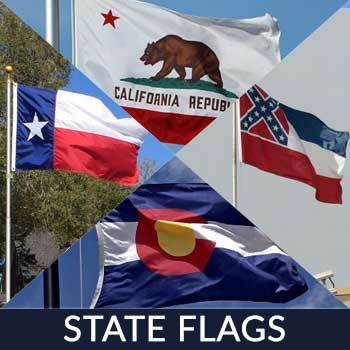 See the meaning of all 13 flag folds here.